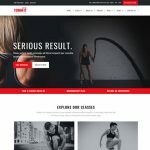 If you looking for clean & simple WordPress hosting bootstrap website template, WPHost is perfect for you. 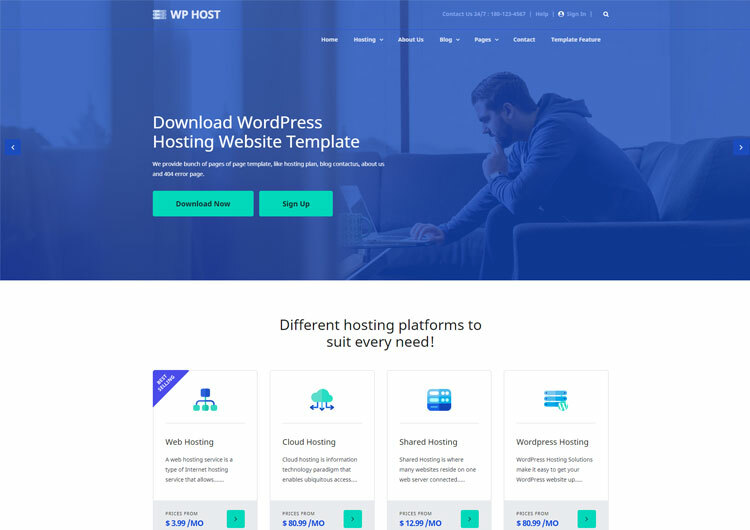 It’s designed for WordPress hosting providers who start the business in WordPress hosting services for professional, personal, business, & agency. The Template is specially created to show WordPress hosting service feature and concept. Also, another hosting service like web hosting, cloud hosting, shared hosting, domain buys and sell, hosting agency. 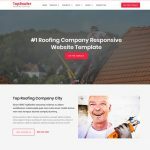 If you are an online professional hosting website design provider, so this template will help you to create your site in a minute for your client. WordPress hosting responsive template is built on the Bootstrap front-end web framework for designing websites. 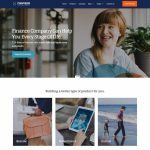 A creative homepage design with transparent header and combine with slider and, customer review carousel section. WordPress hosting page is a special feature of the template, its hows pricing plan for your hosting service and its features. Simple and clean checkout page design give your customer easy hosting purchasing with it should include product order summary. Show your success full customer review with star rating feature or testimonial. Images are in live is just for demo purpose. Not included in main zip download file.